Give patients the convenience and experience they deserve with MEDITECH’s Revenue Cycle solution. Provide patient-friendly statements that combine ambulatory and acute charges. Empower them to book appointments, update their information, pay bills, and view their account balances online. Help them understand their co-pays. And give them peace of mind knowing that they’re eligible and authorized for treatment before they arrive. We’ll help you manage it all, from first contact to final payment. 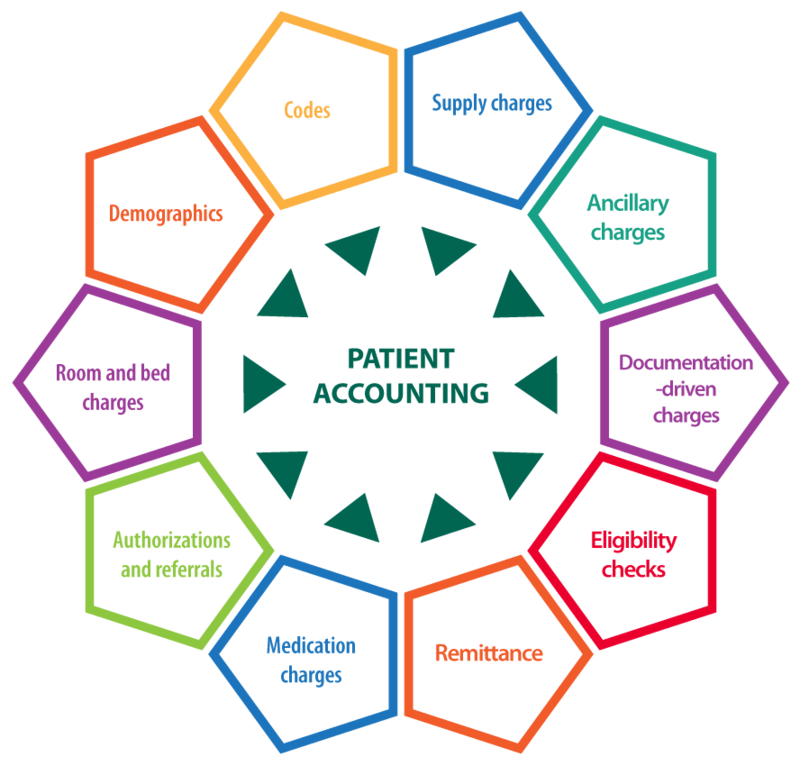 In healthcare, the smart money is on an integrated revenue cycle. Your revenue cycle process is at its healthiest when all departments work together toward a common goal. MEDITECH's Patient Accounting solution provides end-to-end integration across your EHR, minimizing lost charges, reducing claim rejections, and improving employee productivity. By producing a more complete patient story behind every claim, we'll help keep you financially fit. Uniting all your care fronts. With MEDITECH, you can cover your patient access, middle, and back office processes, to drive financial performance and protect your bottom line. Shaved 50 days off their hospital A/R days and 74 days off their clinic A/R days. The result? 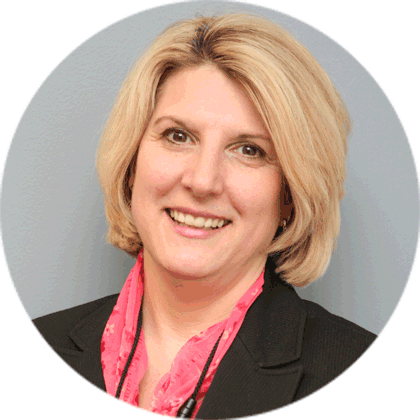 A $10 million hard ROI in the inpatient setting and $4 million ROI in their clinics. Lowered A/R days by 50%, and reduced lost revenue by 90%. Download the Anderson Regional Revenue Cycle Case Study to learn more. 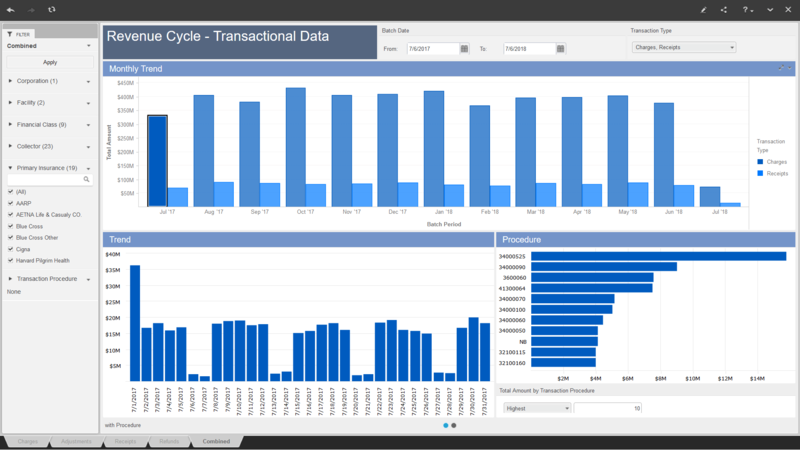 Put the power of business intelligence directly in the hands of your C-suite, with our EHR dashboards. MEDITECH’s Business and Clinical Analytics (BCA) helps you to maintain the health of your revenue cycle by using tools that monitor cash flow, trend billing data, and accurately forecast receivables. In addition, you can avoid penalties by using Quality dashboards to identify readmission and hospital acquired condition risks, and resolve issues with Surveillance and patient registry functionality. Watch Melanie Swenson, Director of HIT at Kalispell Regional Healthcare, explain how MEDITECH’s Business and Clinical Analytics (BCA) puts data in the hands of the end user, so you can see how you’re performing on key metrics. Today, we still see varied contracts and regulatory requirements that drive revenue. We centralize all of the processing by providing one statement and one worklist for billers and coders that crosses the continuum. As healthcare moves away from fee-for-service and into value-based purchasing, this is the foundation our customers need. Harness the power of your revenue cycle management. Accelerating eligibility checking, claims submission, bill remittance, and referrals and authorizations through electronic transactions. Taking advantage of revenue generating opportunities such as automating chronic care management, transitional care management, and annual wellness visits. 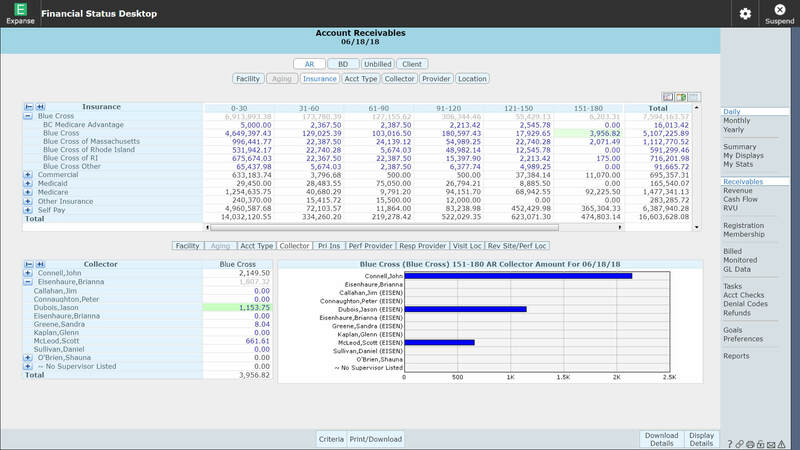 The transparency of the data within the Financial Status Desktop has driven numerous efficiencies in our processes. We are now able to identify and react more quickly to trends — such as insurance denials — that can have a negative impact on our A/R days.